Mangaluru, Apr 21, 2018: Seven candidates filed eight nominations in Dakshina Kannada district on April 20, Friday. In Belthangady, Congress candidate Vasanth Bangera filed two nominations. BJP Candidate from Sullia S Angara filed nominations for the seventh time, at Sullia. 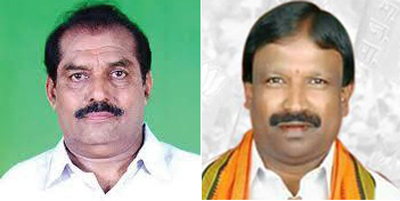 In Bantwal, BJP candidate Rajesh Naik, SDPI candidates Mohammed Riyaz and Abdul Majeed Khan filed their nominations. JD(S) candidate Sumathi Hegde filed a nomination. 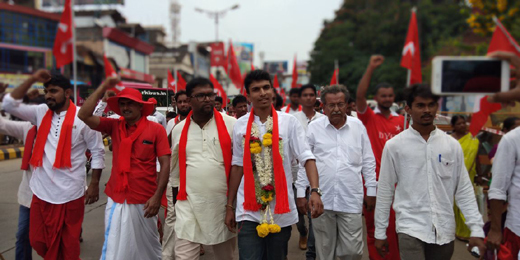 CPM candidate Nithin Kuthar filed nomination from Mangaluru constituency. “The election is being held between dharma and adharma. Several Hindu activists have lost their lives in the last five years,” she said. On account of Vasanth Bangera filing nominations in Belthangady, a Congress workers convention was held at Ambedkar Bhavana. Speaking on the occasion, KPCC secretary Venkappa Gowda called upon the people not to get lured by the speeches of BJP. The Congress-led state government has waived off loans borrowed by the farmers from cooperative societies, released financial assistance for farmers when arecanut was affected with fruit rot disease. The government has stood by the farmers. KPCC General Secretary U B Venkatesh said that, of the 165 promises, the Congress-led government has fulfilled 159 promises in the last five years. The place where I broke coconuts has been developed. School, college, hospital, bridges have come up in the places where I have broken coconuts.” In the last five years, a total of 38,000 title deeds have been issued. 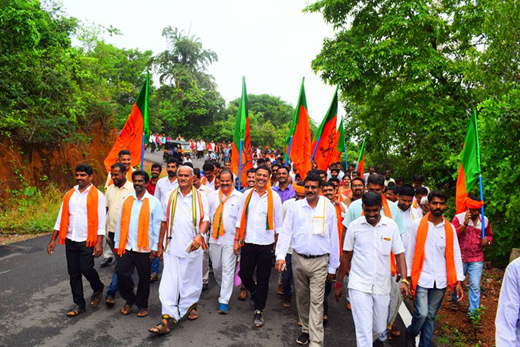 In Bantwal, before filing the nomination, BJP candidate from Bantwal constituency, Rajesh Naik, offered prayers at Polali Rajarajeshwari Temple and took out a padayatra from Polali to B C Road.